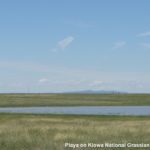 Playa Country is a weekly radio show that features conservation and wildlife experts—as well as farmers, ranchers and land managers— talking about conservation practices that improve wildlife habitat and landowners’ bottom-line. 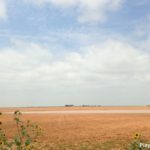 On this page, you can listen to current and past episodes, find more information about the topics, as well as a list of farming and ranching resources that may be helpful. 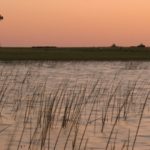 Mark Hilliard of Hale County, Texas, bought the native grassland on which his playa sits from family members, then protected the playa and its grassland buffer with a permanent Wetlands Reserve Easement. He couldn’t be more happy with NRCS assistance removing sediment from the playa to improve its function and create bird habitat. Learn what’s involved in negotiating a perpetual easement.